If you are anything like me, you are looking to stay current and gain a few lifehacks (that’s slang for best practices) while going about your day-to-day activities. 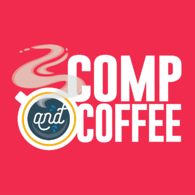 Enter the Comp + Coffee podcast. In the March 4 episode, Courtney Bigony, the Director of People Science at 15Five, discussed one of the most-important communication tools we have as employees and leaders: The one-on-one meeting. how to solicit and respond to feedback and set priorities so the employee, team, and manager are all successful and engaged. I could tell you more, but the team at Comp + Coffee really said it best themselves. Samantha Curran is Director of Human Resources at the Community Loan Fund.